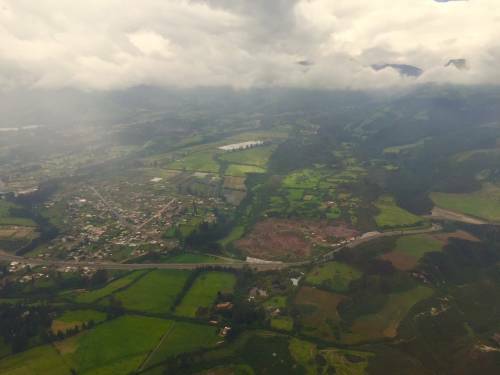 As we fly into Quito, the capital of Ecuador, the high mountain scene opens up below. Wispy clouds drift over patches of vivid green fields. My eyes are tired from the 10-hours “red eye” flight from San Francisco, but the beauty of the Cordillera de los Andes mountains is undeniable. They remind me of ragged mountain ranges that I’ve seen many times before. We step into a new, modern airport; clean but not too busy. The people look Spanish with Inca ancestry here and there. Members of our team await us, including Juan Sandoval, a structural engineer from Colombia. I met him a year ago in Bogota. It is really nice to see a familiar face when you step into a new country. 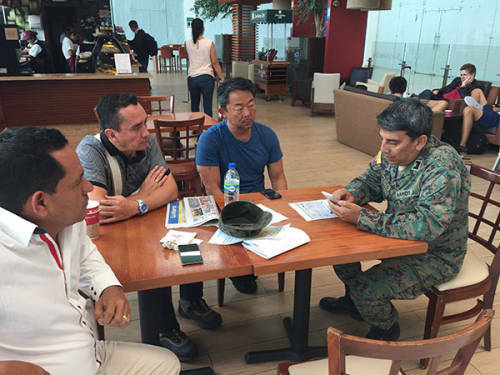 Arcesio Ortiz Ballesteros, a civil engineer from Quito, who is a director of engineers and architects charged with building a new city northeast of Quito, has volunteered to help us. He arrives with a car filled with water, food and other things we may need. He first learned of us two years ago and has followed our work ever since. I jokingly said, “I guess it is bad news that I am in your country!” He grinned with his pleasantly tanned face. A phone rings. 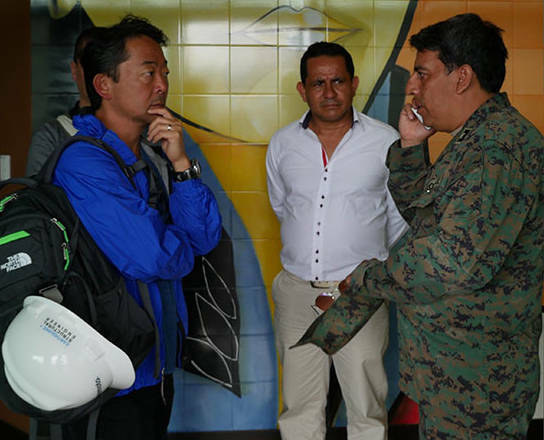 It’s a colonel with Ecuador’s Army Corps of Engineers, whose team first contacted us through Facebook. “Wait at the airport. I’ll meet you there,” he says. 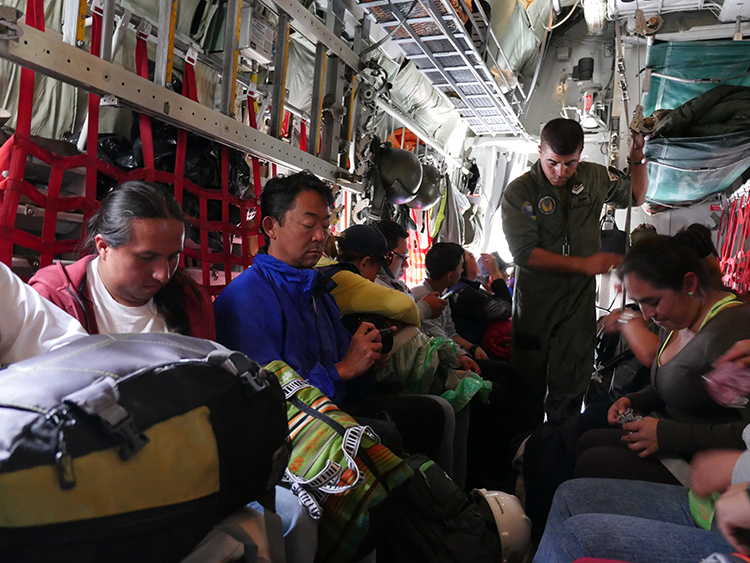 Charged with leading the recovery effort in the disaster zone, he’s eager to hear about how our work responding to large, catastrophic earthquakes in other countries might apply to Ecuador. We huddle around a table in the busy coffee shop, listening to his immense challenges. Some coastal area communities are 80 percent destroyed. Some of the smaller coastal communities have not even been reached yet. It is apparent that the assessments need to have better organization. Not everyone is well-trained. Bodies still buried beneath the rubble pose serious health issues. His eyes light up when I describe how we trained 600 engineers in Haiti to ATC-20 standards and formed teams with mechanisms for oversight. He picks up his Blackberry and arranges a military flight to whisk us to Manta; the center of devastation. He directs us to meet with the ministry leader of each area, using his name for access. Forty minutes later, the cool wind blows across our faces as we wait on a military airfield. The passing refugees are like tides, some coming and some going. Some are tired and red-eyed, arriving from communities left in rubble. Others, like a public health worker carrying two large water jugs that nearly outweigh her, are boarding the plane with us to offer help. 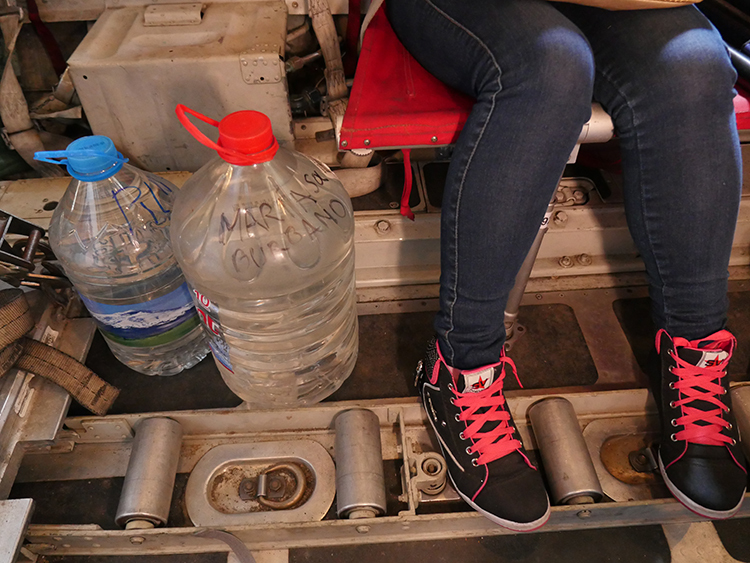 We sit in the belly of a C-100, the large military transport aircraft, surrounded by boxes and boxes of rations for the people of disabled Manta, Portoviejo and other communities. We all sit in seats like a bunch of paratroopers side by side. Above me dangles loops of steel wire, presumably there to hook parachute static lines. We’re off to the center of destruction.